We have received both plum and slicing tomatoes, and I have mostly cooked with the plum and, well, sliced the slicing tomatoes in salads. 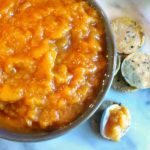 I don’t have enough for it to make sense to can them, or cook them down to sauce – just to feast on them fresh, to remember in the long months when we only eat canned tomatoes. One option is Salsa Fresca – literally, fresh sauce. We’re all accustomed to commercial salsa in jars (which has brightened many a winter meal in our house) but why eat that in tomato season? Besides – I can personalize this to our taste – well, make that mine. 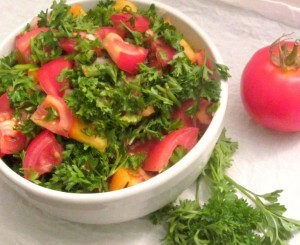 The standard fresh Mexican (or at least, Mexican-American) fresh tomato sauce is pico de gallo, which includes cilantro. 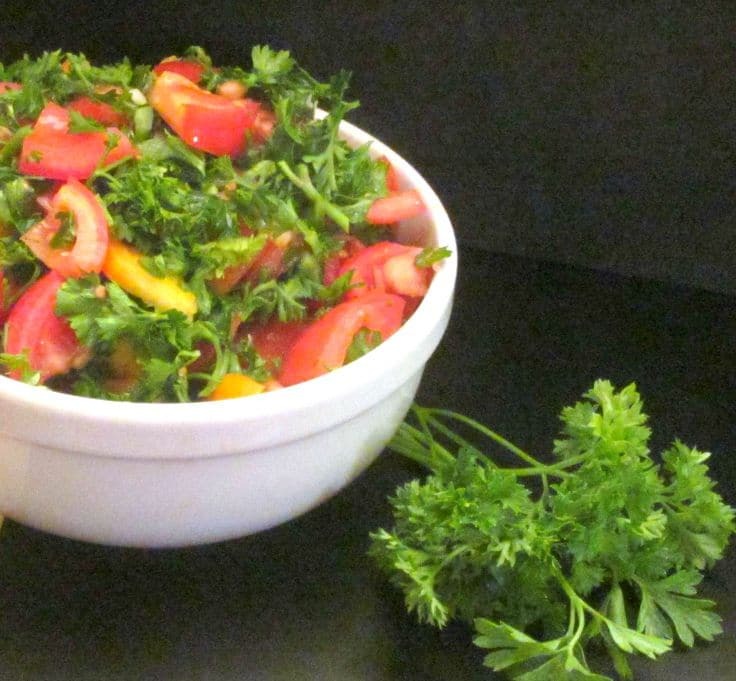 But I make a version with parsley – I still get a bright green flavor, but one I can stand. So if you’d rather have cilantro, by all means use it (though you may want less – the flavor is stronger.) If you don’t want it though, here’s an option. I had lovely fresh tomatoes, mostly red, but a few gold. It is nice to mix up the colors a little, just to be pretty. I like onion – sweet onion would be ideal, but I didn’t have one handy and I try to use the vegetables I have, at this time of year. I used a quarter of a yellow onion, minced very finely, if your onion is sweet, you might want more. And I used just one jalapeno, because with the dry summer, they’ve been hot this year. And again, I minced it very finely – I don’t want a big chunk of hot pepper in my mouth! 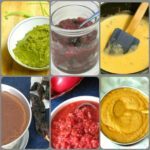 Essentially, the recipe for the basic Salsa Fresca is – Take however much you want of whatever fresh raw ingredients you want, chop them up, toss them together, let them rest a while to meld flavor, and enjoy! A little finesse.. make sure you remove core and any hard white parts of the tomatoes, seed and mince the peppers (you can use serrano instead of jalapeno,) discard the stringy stems of the parsley… Customarily you add a pinch of salt, but that can contribute to wilting, if you’re going to keep it more than a few hours. We use this in about two days, since there are only two of us, so I leave the salt out, and add a sprinkle when I serve. Add a squeeze of lime juice if you have it, or a splash of wine vinegar (which I had,) as the acid not only adds to flavor but also helps the salsa stay fresh for that day or two. I would not make more than we could eat in about two days – it’s supposed to be fresh, after all – but it’s nice to have it made in the morning for my tacos, as well as during the day to add to salads and have on the side with dinner. And there you are. 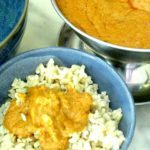 I wrote this up as a proper Recipe, because sometimes it’s good to have something to glance at as a reminder, but remember that ingredients and amounts are not written in stone – mix this one to taste, with what you have. And enjoy it! 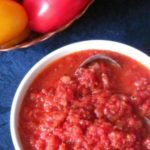 Salsa Fresca (without cilantro!) 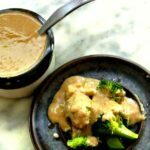 A simple sauce that comes together quickly from raw vegetables to add interest to the plainest meal. 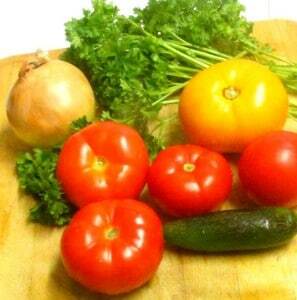 Core and chop tomatoes. Seed and mince pepper. Peel and mince onion. (A sweet onion is best, but an ordinary yellow onion works.) 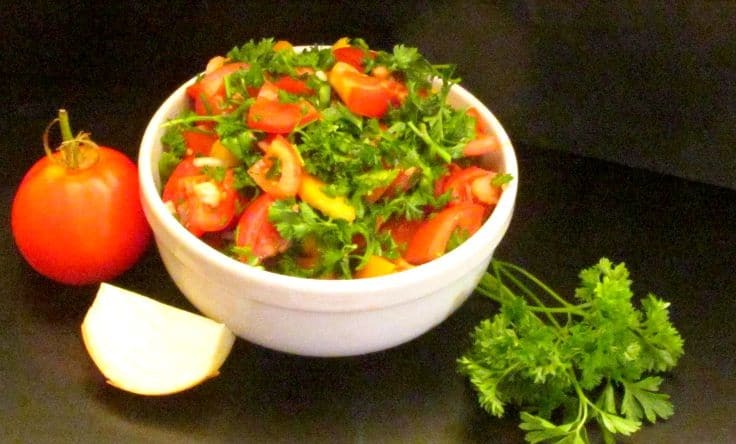 Chop parsley. Mix everything well in a large bowl. Add vinegar, toss well. (Substitute lime juice for vinegar, if desired.) Add salt, if desired, if it will all be eaten in a few hours. Let rest an hour or two, to meld flavors. This keeps well, covered and refrigerated, for about 2 days. If keeping, add salt (if desired) shortly before serving, not earlier. I love love love cilantro and husband hates it - says it tastes like medicine. I used to think he was a wuss but then read some science on taste buds etc. Anyway, this is a strain on our marriage, but your salsa looks lovely! !